Photograph: Boulevard Brewing Company Boulevard Brewing Company's Chocolate Ale is made in collaboration with a chocolatier. That’s how brewmaster Steven Pauwels describes, in his slight Belgian accent, the start of Kansas City–based Boulevard Brewing’s Chocolate Ale. Part of its seasonal Smokestack Series, this beer also involves something it calls “dry-nibbing” and pantyhose. No, seriously. The road to this year’s Chocolate Ale was a long one. In fact, calling it “this year’s” is a bit inaccurate, since there wasn’t one last year at all. After first offering the beer in 2011, Boulevard took a year off after production issues forced a recall of a few batches of bottles in early 2012. Off-flavors were found in three bottle batches, but no issues were reported from the draft version, which I found to be a delicious, light, creamy, chocolate-syrup-plus-alcohol concoction that I regularly craved thereafter. After sorting through bottling-line issues and adding quality-control checks for this year’s run, Boulevard must have been confident—it brewed a batch of more than 600bbls for distribution in keg and bottle form, larger than any previous run. The beer was made with Kansas City pastry chef and chocolatier Christopher Elbow, who worked with chefs like Emeril Lagasse and Jean Joho before setting out on his own. Unlike other chocolate-forward brews that amp up the dark malts and their big, complex chocolate, cocoa, coffee and roasty flavors within, this beer lets the cocoa nib flavor shine through unfettered. The nibs were added to the brewing process via pantyhose—yep, they dumped the lot into XL-size hose (no preferred brand; I asked) and let the cocoa steep into the beer that way. Much like brewers will dry-hop beers by adding the ingredients straight into the tank, the Boulevard team “dry-nibbed” this beer with cacao from the Dominican Republic for ultimate chocolate flavor. The beer itself is surprisingly light-colored for a straightforward chocolate beer—a golden-amber hazy brew hangs onto a moderate amount of tenuous head. It’s a light-bodied beer, too, which avoids overwhelming you with anything other than sweet and chocolate flavors. There are no major grains, virtually zero hop bitterness, just straight up lighter malts, yeast and chocolate. This is not to say it lacks complexity—there are also vanilla, peanut brittle, butterscotch and lightly burnt sugar flavors, which make this a 9.1% ABV glass of sweet, creamy, slightly fizzy (but not boozy) refreshment. Let this one warm up, almost to room temperature, and you’ll see the release of other lighter flavors like graham cracker, sweet baked muffin and bright sparkly white grape. Obviously, Chocolate Ale isn’t the only thing to make news coming out of Boulevard. Belgian brewer Duvel recently bought it for a reported $100 million (which makes the $38 milion A-B reportedly paid for Goose Island look like a fire sale in comparison). When asked about his perspective on Goose, as someone who recently was put in a similar situation, Pauwels was expectedly positive on it. “They’re growing faster, and making some really good beers. It was enlightening when I went to your barrel aged beer festival (FoBAB) last year [in 2012]. The line at Goose Island was the longest one! After what happened, and after all the press, it was still the longest one.” The same could be said for this year’s FoBAB as well. Assuming Duvel keeps the same hands-off “just keep doin’ what you’re doin’, just do more of it” stance that A-B has taken with Goose, we can hope to see more Boulevard and Smokestack Series beers in much the same way that Goose Island’s Bourbon County expanded its footprint this year. And that’s not a bad thing. 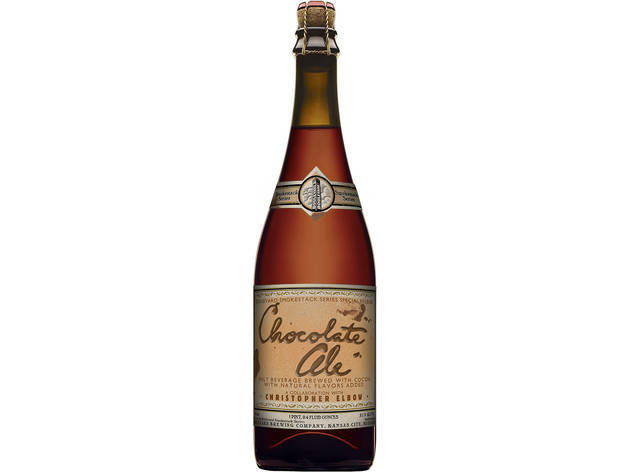 Chocolate Ale is in release in kegs and in 750ml bottles around town; it’s not easy to find on draft, but there are multiple shops that should have it on the shelf.